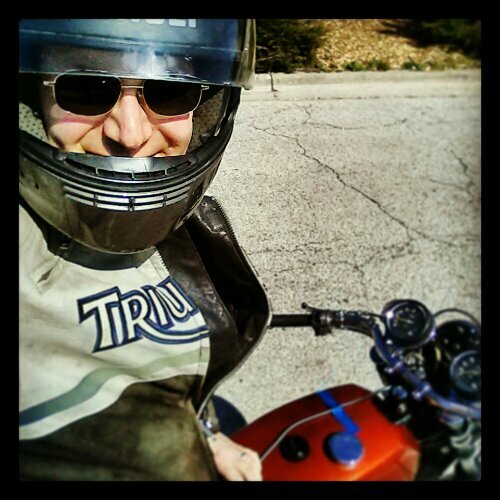 The rider and his steed: the weekend was indeed lovely weather to be on the roads. Sunny skies abounding. 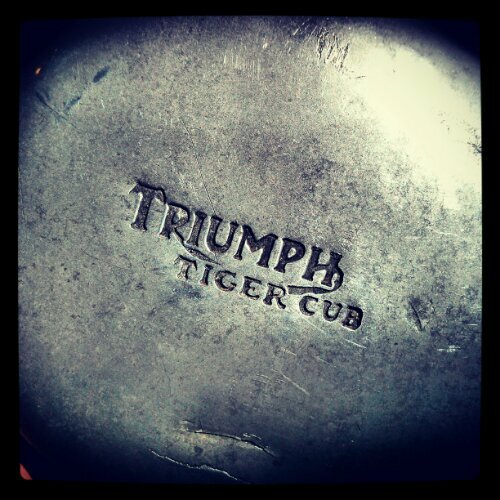 I’m a lucky chap to be able to take my restored Triumph out on days like this. Not too hot or too cold – I could have just ridden on and on. Here to miles & miles ahead this year! The matching case components, crankcase, inner timing and outer cover come together like a fine swiss pocket watch. Each holds a different layer if workings that release the wound-up energies from the engine combustions. 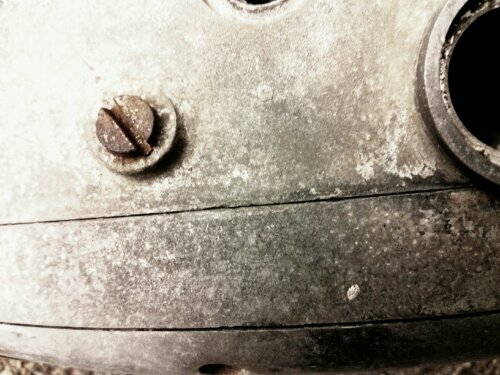 The surface still has a rough oxidation; I’m only going to bring it back to a cleaner smooth grey patina. I don’t want a buffed mirror finish; just a day-to-day working bike look. A couple of glitches in the lighting seem to be de rigueur when coming out of a winter layup; it must have been an overwintering gremlin taking refuge in the headlight shell. My first ‘real’ bike (well, not actually ‘it’ but what it looked like): A five-speed racer from Nottingham. Yes a Raleigh. Metallic sky blue, derailleur gears, dropped bars, thin saddle. The only way to go was low and fast! I racked up a fair few miles on this around the roads and country lanes of Wooler. Those were the days before helmets too. The Mountain Cub is a machine that looks at home in a rural setting. A patina of agricultural use, knobbly wheels ready for a nearby green lane into the fields and woods of countryside waiting to be explored. 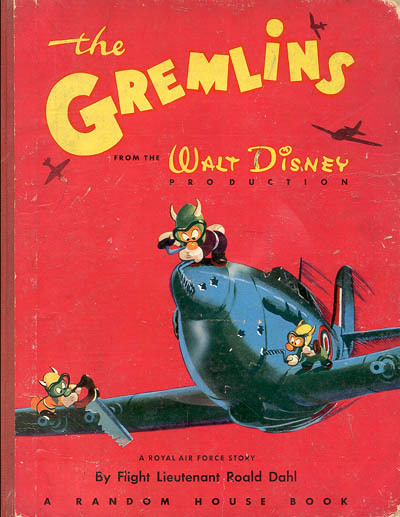 Fill up the true peanut-sized tank, kick ‘er over and rev the diminutive single into action and off you go! This image is a better inspiration for my rebuild than some shiny concours special needing spit ‘n’ polish and a mirror finish. I like the grubbiness of a farmhand who has just cleared out the midden and is off to milk the cows. There is a satisfying appearance to the twin high pipe set up on this early 70’s Tiger. 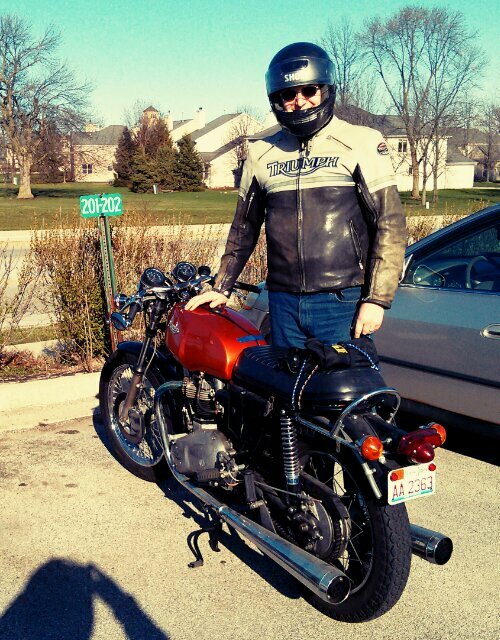 It’s a classic bike looking ready for vintage adventure. Indeed this is the model Ted Simon took around the world and recorded his travels in the excellent ‘Jupiters Travels’. Go on! The road is out there waiting for you! During the autopsy of the engine I’m getting to know the expected innards and their expected workings and their mechanical interactions. 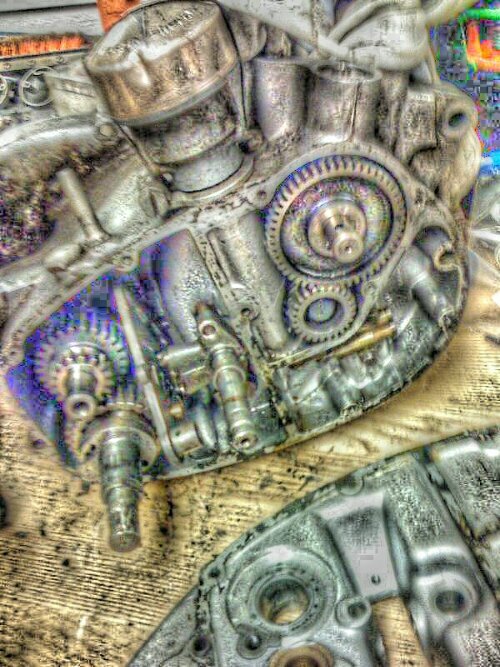 The cams turning rotational energies into linear to open and close the breathing valves up above. A worm gear spinning an eccentric pin to drive an oil pump piston. The other end of the worm drive spins the distributor getting a signal to separate ignition parts and subsequent spark to the cylinder. Then at the other end after the clutch, the main shaft and lay shaft of gears to allow for alternate gearing to ensure correct power gets to the rear drive wheel. A could of other controls interacting with the gearbox being a pawled kick starter and sneck pinned shifting mechanism to shift those aforementioned gears. All fairly straight forward and neatly contained in the engine cases. Can you rub your belly while scratching your head? Classic colors: a Duck in Porsche clothing! 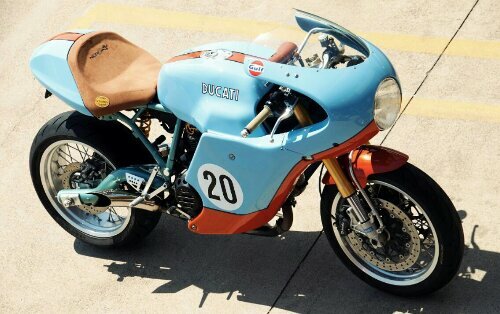 The sublime Gulf scheme of sky blue and fiery orange gives this latter day sport twin a sweet look of Le Mans speed. Steve McQueen would put this one in his stable I’m sure. This’ll give you a kick in the pants! A lesson te ye all! When it comes to aluminium/aluminum alloy parts you need to be carefully not to overstress them when tightening nuts bolts or other fastenings. 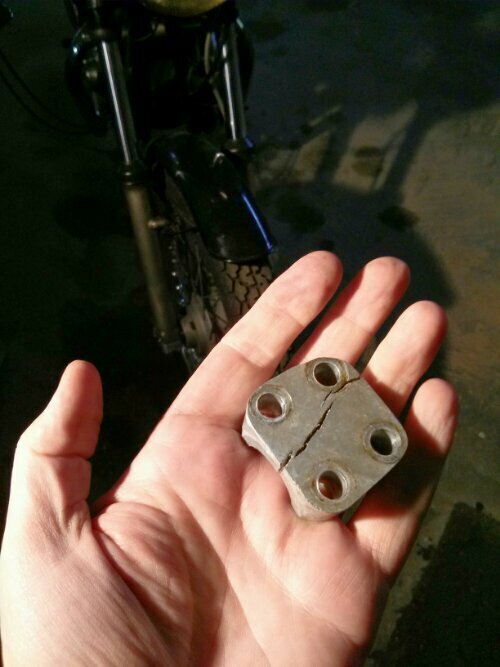 Use locknuts, thread lock or just gently nip it up and recheck after a ride. But will I learn? This fork end cap did have a hairline crack in it and I thought I’d be clever and make an end plate to splint it but it still opened up. I was fortunate to find a single replacement cat the swap meet and put that on. Job done. Lesson larned! …down to the but and bolt. Oily parts, mucky casing, age-welded bolts. Yup its wrenchin time! Over fifty years since it was assembled. When you open it up like a cracked clam the original machining is as fresh as the day it was on the milling machine in Meriden. Started tentatively disassembling the engine today. The cases were split; eventually! After much drilling, WD40-ing, cursing, whilst removing a couple of stubborn bolts. 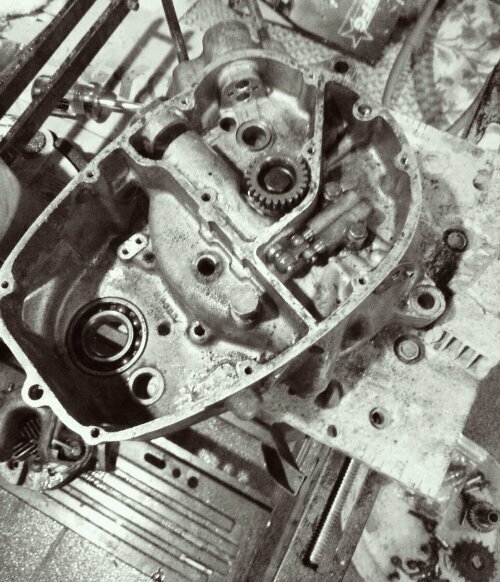 The timing side pinion needs to be removed before the crank lifts out. Then I can get to grips with cleaning the case parts for later reassembly. One item I put some elbow grease into was the primary drive cover with name. You ever want to be somebody else? A bike that’s not quite sure what it is… Norton emblazoned on the tank in golf lettering over a cherry pie red. 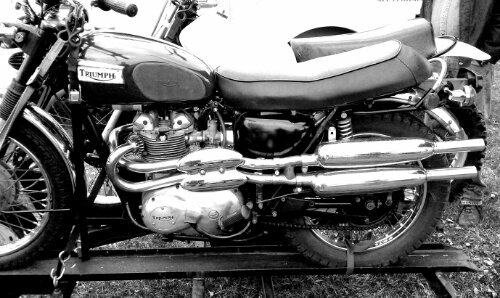 However a closer spy reveals the Triumph engine… A Triton this is not! 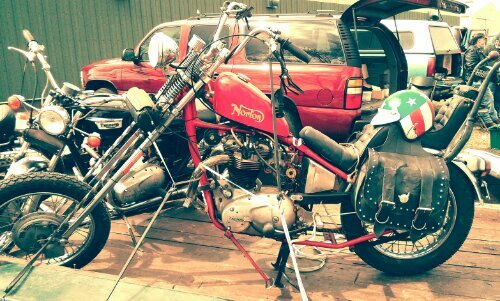 Hard tail chopper frame with sweeping seat perches and aped bars atop a lonnng fork. The Easy Rider Captain America helmet says she’s ready for a cross country trip with a sidekick named Billy, and a soundtrack from the late 60’s. 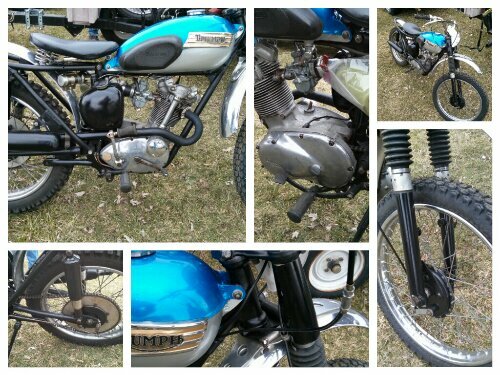 This Tiger Cub was standing behind one of the swap stalls and even though it had a sold sign on it I had a good deek at it to see how thing attach, route, interconnect and just plain get a good feel for how a trials cub could, and should, look. Simple, spare, sleek and single purposed. Whenever you spy one of these anywhere it can bring out the hooligan in you. 60hp out of 500cc of two stroke power. A scary lash of a powerband to scare the bejeezuz out of anyone who disrespects the throttle. “It’ll be nowt but trouble youth!”. From the early days if the modern superbike it still holds itself in looks. 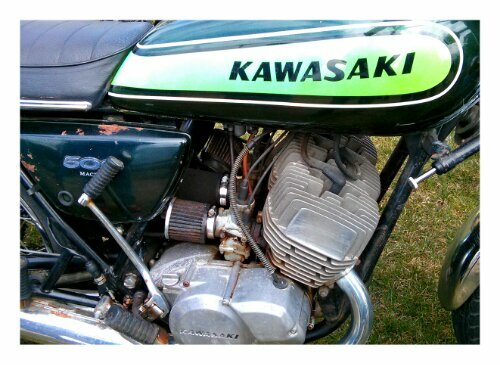 A good basic bike with timeless lines with the Kawasaki name spread along the green tank. Some thoughtful soul has added a steering damper to settle down potential tankslappers. Three times the speed of sound? You betcha!